SAN FRANCISCO - November 8, 2017 (Investorideas.com Newswire) Wells Fargo & Company (NYSE: WFC) today announced that 100 percent of its global electricity consumption for 2017 will be met with renewable energy. The milestone means the company has met the first part of its commitment to purchase renewable energy to power 100 percent of global operations by the close of 2017, with a transition to long-term agreements that fund new sources of green power by 2020. To meet the demand for its more than 90 million square feet of real estate, including data centers, corporate offices and branches, Wells Fargo purchased more than 2 million MWh of 2017 vintage Renewable Energy Certificates (RECs). "Like so many of our customers, Wells Fargo strongly supports accelerating the development and production of renewable energy," said Wells Fargo CEO Tim Sloan. "Meeting our global electricity requirements with 100 percent renewable energy demonstrates our leadership in operational efficiency, and we are committed to continuing to innovate our products and services and provide financing for our customers' renewable energy, energy efficiency and clean technology projects." 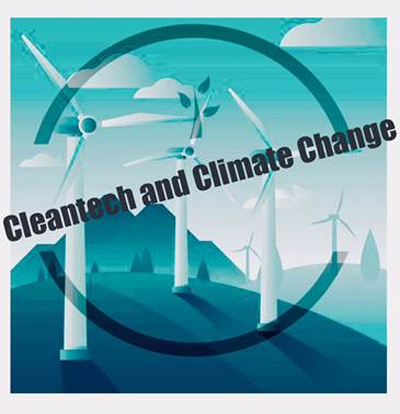 In addition to leveraging a renewables strategy to advance operational efficiency, Wells Fargo supports the development of clean energy and technology through its business and its philanthropy. Since 2012, Wells Fargo has provided more than $70 billion in financing for environmentally beneficial businesses and projects, including the Kern High School District's carport solar system. In 2016, more than 8 percent of all wind and solar photovoltaic energy generated in the U.S. came from projects owned wholly or in part by Wells Fargo through its tax-equity financing business. In its philanthropy, among other projects, the company supports clean technology innovation through a $30 million partnership with the National Renewable Energy Laboratory — the Wells Fargo Innovation Incubator — and significant financial support for GRID Alternatives, a nonprofit organization that brings renewable energy to low- and moderate-income and tribal communities. "Maximizing our operational efficiency is one way we ‘walk the talk' when it comes to sustainability and our commitment to addressing climate change," said Curt Radkin, senior vice president in Wells Fargo's Corporate Properties Group. "It helps us manage long-term expenses, reduce the environmental impact of our energy consumption and enhance our team member experience." Wells Fargo properties currently generate a portion of their electricity demand through solar panels. To help meet its commitment to develop new forms of generation to power its operations by 2020, the company will explore expanding its capabilities in a variety of areas, including on-site generation, Directed Power Purchase Agreements, utility-sponsored programs and other mechanisms. "Making longer-term strategic commitments to purchasing energy from diverse generation sources will require a major shift in the way we think about and approach energy procurement," said Radkin. "But we see it as a risk-mitigation strategy that will benefit Wells Fargo over time while minimizing our carbon footprint for the benefit of our communities and the environment in general." Wells Fargo's renewable energy commitment is one of several 2020 goals focused on environmental sustainability. As of the close of the second quarter, the company is on track to achieve all of its sustainability goals. Since 2008, Wells Fargo has reduced absolute greenhouse gas emissions by 42 percent, water use by 56 percent, energy consumption by 34 percent and waste by 30 percent. The company has also achieved LEED certification for 24 percent of its real estate portfolio. Wells Fargo & Company (NYSE: WFC) is a diversified, community-based financial services company with $1.9 trillion in assets. Wells Fargo's vision is to satisfy our customers' financial needs and help them succeed financially. Founded in 1852 and headquartered in San Francisco, Wells Fargo provides banking, insurance, investments, mortgage, and consumer and commercial finance through more than 8,400 locations, 13,000 ATMs, the internet (wellsfargo.com) and mobile banking, and has offices in 42 countries and territories to support customers who conduct business in the global economy. With approximately 268,000 team members, Wells Fargo serves one in three households in the United States. Wells Fargo & Company was ranked No. 25 on Fortune's 2017 rankings of America's largest corporations. The Chronicle of Philanthropy ranked Wells Fargo No. 3 on its most recent list of the top corporate cash philanthropists. In 2016, Wells Fargo donated $281.3 million to 14,900 nonprofits and Wells Fargo team members volunteered 1.73 million hours with 50,000 nonprofits. Wells Fargo's corporate social responsibility efforts are focused on three priorities: economic empowerment in underserved communities, environmental sustainability, and advancing diversity and social inclusion. News, insights and perspectives from Wells Fargo are also available at Wells Fargo Stories. Point Roberts, WA, Delta BC – June 16, 2017 – Investorideas.com, a global news source and investor resource covering actively traded sectors announces this week’s additions to its global stock directories in Mining, Cleantech and Cannabis. The newest clean technology company is ADOMANI Inc. (NasdaqCM: ADOM), a California-based Zero Emission Vehicle and plug-in hybrid solutions provider for school bus and fleet operators. They have also been added to the automotive stocks list.